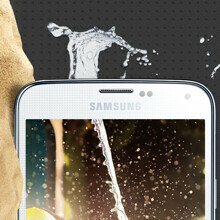 Last year’s Galaxy S4 Active wasn’t exactly one of Samsung’s most popular smartphones. But it’s said that the South Korean company intends to launch a successor to it anyway. Back in March, we heard that this successor would be the Samsung SM-G870x, and that it should be commercialized as the Galaxy S5 Active via AT&T, Sprint, and other carriers. Today, AT&T’s variant, the SM-G870A, was approved by the FCC, which means that the second largest US mobile carrier could introduce the handset soon. The FCC reveals that the SM-G870A is 143.0mm tall, and 73.42mm wide, thus being a tad larger than the regular Galaxy S5 (which measures 142 x 72.5 mm). 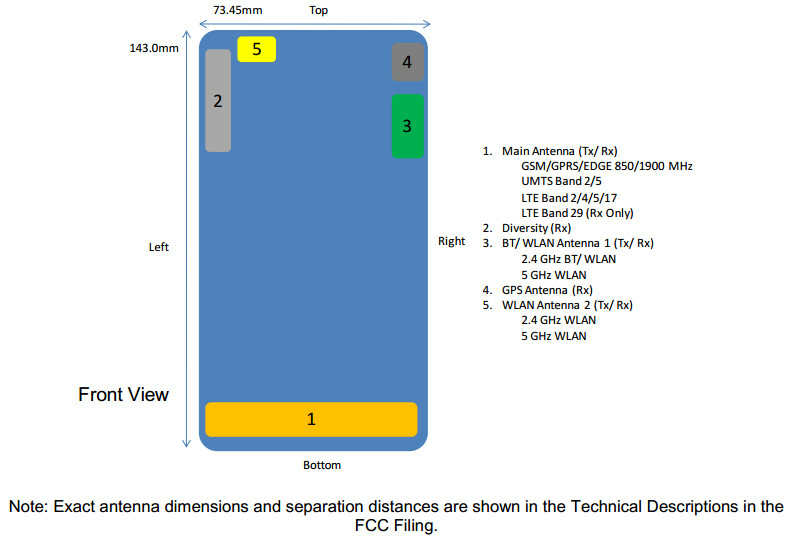 AT&T-friendly LTE (bands 2, 4 and 17), NFC and dual-band Wi-Fi are also mentioned. 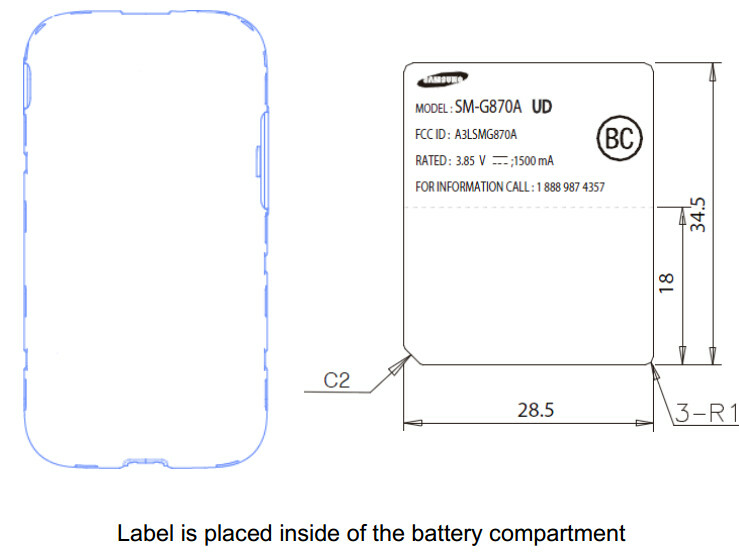 Moreover, it looks like the unannounced smartphone has the same 2,800 mAh battery that’s found inside the S5 SM-G900. The main difference between the Galaxy S4 Active and the regular S4 is that the former is dust- and water-resistant, while the latter is not. But the new Galaxy S5 is already dust- and water-resistant (IP67 certified), so we’re expecting the S5 Active to have more up its sleeve - perhaps including a rugged body, and an IP68 certification, which would allow it to survive under 1.5m of water for 30 minutes. Well, let's hope we'll find out more on this soon. UPDATE: We managed to find records about the Samsung SM-G870A in Zauba. According to what is stated there, the smartphone is indeed an AT&T model, like we mentioned above. Its screen diagonal size should be identical to that of the Galaxy S5 – 5.1 inches. I have no idea why they would even try a S5 active when the S5 is already dust and water resistance. They should have just skipped the active. The Active version better have self-regenerative parts, be fireproof, shockproof, radioactiveproof, can survive a nuclear blast, etc.. No point adding an extra one from IP57 to IP68 for an Active version, CMIIW. This phone is actually the S5 DX. The "DX" stands for "Danger eXtreme". You can take this one anywhere -- war zone, jungle, desert, ice caves. If anything happens to the phone and you make it back alive with video footage of your extreme situation, Samsung will give you a new phone in exchange for the footage and the damaged phone. They should just release a new version of the Rugby Pro with the GS5's internals but with about a 4.3-4.7" screen. I loves my Rugby Pro when I had it. It'll be interesting to see if the GS5 Active has an LCD screen like the GS4 Active. Don't ever buy a flagship variant like this one (S5 Active). I am a certified user of S4 Active and I can say that Samsung already forgot my S4 Active (by not giving us kitkat update) when it comes to major update (even minor too.) So when buying a Samsung phone, always buy the flagship ones like S5 (not the variant S5 Active) so that you will not be behind on the important updates (and accessories too). I dont hate Samsung but they just release a variant then forgetting it in the future. Good point. Other than Nexus and Cyanogen, I don't think it good to rely on any updates for Android. Samsung may put updates out for many of their devices, but they are often very slow and some devices they just abandon due to lack of sales.